White, translucent teeth are the hallmark of a beautiful smile. But with age or the foods we eat our teeth’s natural brightness can dim to a dingy yellow. 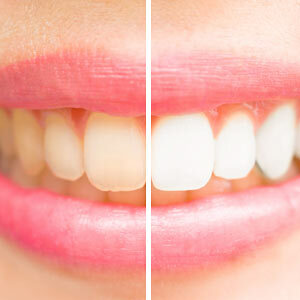 If this is your case, you may be able to benefit from teeth whitening techniques that brighten up your less than “pearly whites.” A teeth whitening treatment from time to time could put the dazzle back in both your smile and your self-confidence. Here, then, are 3 reasons for considering tooth whitening to improve your smile. You might be able to do it yourself. There are a number of home whitening options (including whitening strips) that are safe and effective to use at home. 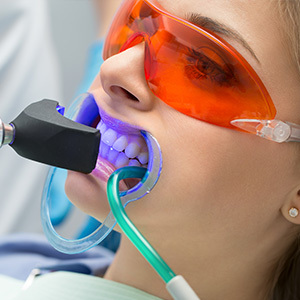 But there are a couple caveats: because your dentist can use stronger bleaching solutions they may be able to perform the procedure in less time and with longer lasting results than a home kit. Also, some forms of staining originate inside a tooth—a home kit won’t help with that kind of discoloration. It’s safe and relatively inexpensive. Home bleaching solutions aren’t strong enough to be harmful (unless you disregard the product directions) and are usually not very costly. 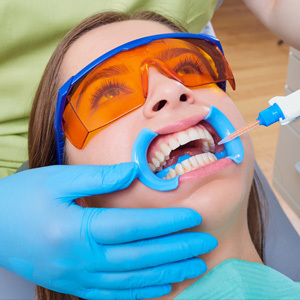 Your dentist uses stronger solutions but with the training and curing equipment to minimize any risk to your teeth. And compared to other cosmetic treatments, dental office teeth whitening is still a relatively inexpensive option. 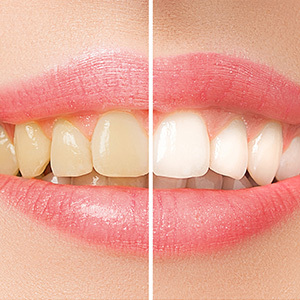 Whitening isn’t permanent—but with a thorough application and avoiding foods and habits that contribute to staining, professional whitening effects can last up to two years. If you’re interested, see your dentist for a full dental examination for any issues that might interfere with the whitening process. From there, you’re not far from a brighter and more attractive smile. You’ve been embarrassed for a while now by your yellowed, dull teeth. You’re ready for a change. There’s a simple and cost-effective way to make that change: you can temporarily brighten your smile with teeth whitening, possibly at home. But before you try it, you should first have a dental examination to find out if whitening is the right choice for you. First off, healthy teeth with outer enamel staining are the best candidates for whitening. Teeth and gums with tooth decay or periodontal (gum) disease should be treated first before undergoing whitening. A dental exam will uncover any health issues you may have with your mouth. In the same vein, you’ll want to consider whitening carefully if you have dental work like veneers, crowns or implants. Unlike natural teeth, these non-biological materials won’t be affected by the bleaching agent. We can discuss any potential for color mismatch between your whitened natural teeth and your dental work during your examination. A dental exam can also uncover one other crucial fact — what kind of tooth staining you have. There are two basic types: extrinsic, staining on the outside enamel as we’ve mentioned earlier; and intrinsic, staining that originates from inside a tooth. The whitening kits you purchase from a store and even some of the whitening techniques we use in the office only diminish extrinsic, not intrinsic staining. To address an intrinsically-stained tooth requires a much more involved, invasive clinical technique only performed by dental professionals. Finally, a dental examination is a good discussion forum for helping you decide between a home kit and a clinical procedure. While DIY kits are effective for the most part, you won’t be able to precisely control the degree of brightness like we can. This could be important if you want a specific shade of whiteness, from a more subtle and natural shade to dazzling “Hollywood” bright. Shade control could also help minimize color mismatch with dental work. In the end, we want to help you make the best choice for teeth whitening. Even if you decide to pursue whitening at home, we can offer you valuable advice on what to look for when you buy a kit and how to use it. That alone could help ensure you get the new, bright smile you desire! Your teeth were meant to shine! Tooth enamel’s polished translucence, framed by the dentin layer beneath it, has a way of vibrantly catching the light when you smile. But tooth wear and structural changes as you age can dim that shine. Add to that staining caused by foods and beverages or disease and your smile could further lose its luster. On your supermarket or pharmacy oral hygiene aisle you’ll find dozens of products promising to restore that lost luster, including toothpastes, whitening kits or even chewing gum. While such products work to some degree, our dental office may have the right solution for you: a safe and effective treatment for whitening teeth. Why see us for teeth whitening? For one, professional whitening solutions contain a higher concentration of bleaching agent (usually 35-45% hydrogen peroxide) than home kits. We usually apply it in a gel form directly to the teeth while using barrier devices like dams to protect the lips and other soft tissue from irritation. We may then apply heat or light to the applied gel to enhance the release of peroxide into your enamel. This professional procedure can often give you a brighter smile in fewer sessions than a home whitening kit — and it may last longer. What’s more, we can control the level of brightness to produce only a subtle change or a dazzling “Hollywood” smile — whatever your preference. Like a home kit, this procedure bleaches staining on the outer surface of enamel, known as extrinsic staining. But you can also have discoloration deep within a tooth, known as intrinsic staining, caused by a variety of reasons like tetracycline use early in life or complications from a root canal treatment. Home kits or even the professional treatment described above can’t whiten intrinsic staining. For intrinsic staining you’ll need a special procedure that places a bleaching agent inside the tooth. Depending on the extent of staining the procedure could require more than one session. To find out what kind of discoloration you have, visit us for a full examination. We’ll then be able to give you your options for putting the shine back in your smile.